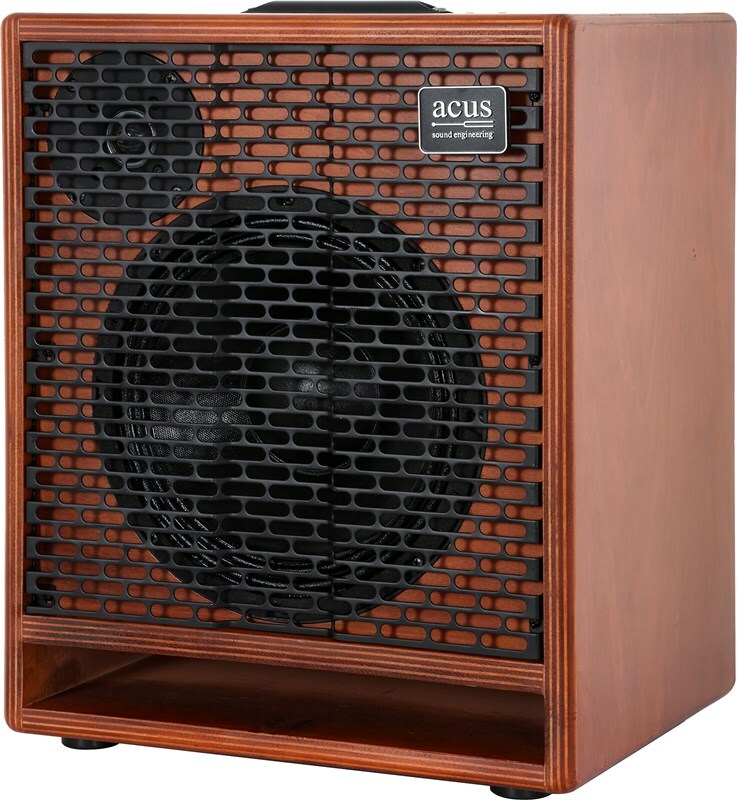 Acus One ForBass is designed for Bass Guitar, Cello and Double Bass, and is a unique product of its kind in terms of quality, dynamics and acoustics. 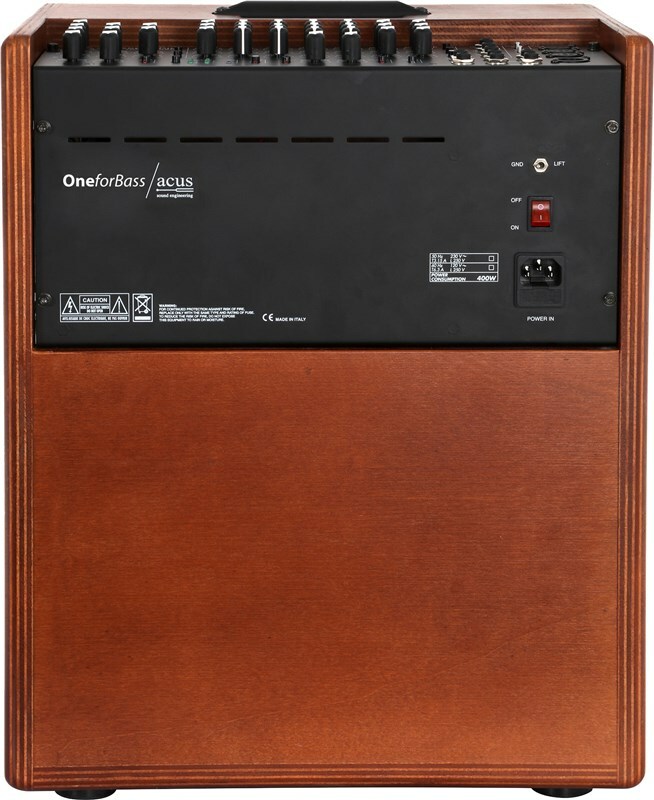 Compact size and weight 400W power amplifier, the OneforBass is very versatile. For each of three channels there are: Balanced XLR Input (selectable as a Microphone input or Instrument by the appropriate switch), Unbalanced Instrument Input, Phase inversion; Gain, Four-band Equalizer, Effect Send (for internal effects) Volume, BSS Filter, this very interesting as it allows a very accurate control of the low frequencies. 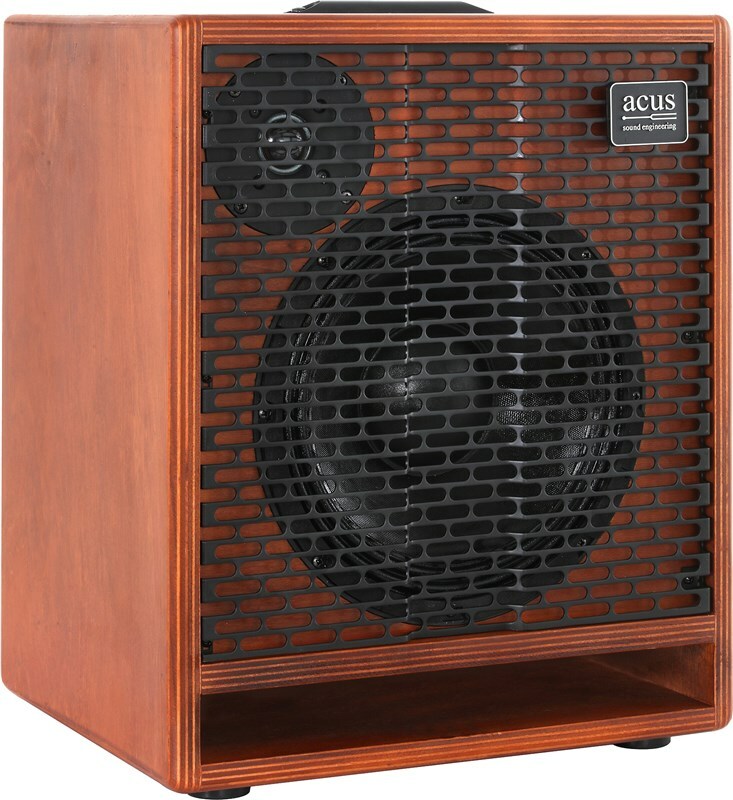 There are also Headphone output (with indipendent volume), anti-feedback Resonance Filter, Return Effect (for internal effects), Master Volume, 8 internal effects, Phantom power, Balance Direct Out (Pre/Post EQ, Line and Mic Level) and Tuner.